Chipotle just celebrated its 2,500th store opening in Concord, Calif., on Friday, but it’s far from reaching its full potential in U.S. store count, according to the company. “We continue to hear that the number one reason that consumers eat elsewhere is because they don’t have convenient access to Chipotle,” CEO Brian Niccol said on the company’s recent fourth quarter earnings call. Chipotle opened 137 new restaurants in 2018, and plans to open 140 to 155 more new locations in 2019. Chipotle’s 2,500th store location opened in Concord, California on February 8. That’s a slower, more measured opening rate compared to previous years; in 2017, Chipotle opened 183 new stores and in 2016, the company opened 243 new locations. Heading up Chipotle’s new restaurant development strategy will be Tabassum Zalotrawala, Chipotle’s new chief development officer. Zalotrawala was one of the last executives that Niccol hired in 2018, capping off a year spent stacking his leadership team with outside appointments charged with helping to grow Chipotle into a brand that can generate $10 billion in annual revenue. Chipotle reported $4.8 million in annual revenue in 2018. Looking ahead at Chipotle’s upcoming store development, Zalotrawla said that some new restaurant locations will be in areas where Chipotle already has a presence, but she was most excited about the potential to expand into completely new domestic markets where the company has yet to break ground. “It’s incredible because we haven’t even scratched the surface here in the U.S.,” Zalotrawla said. The vast majority of Chipotle’s 2,500 stores are domestic locations, and the U.S. remains the company’s top focus for new restaurant expansion. Chipotle operates just 37 restaurants outside of the U.S.
As Chipotle’s store footprint grows, Zalotrawla will be responsible for upholding the company standard that has been set with regards to new restaurant innovations that support the company’s growing digital revenue channel. Sales from digital orders, including delivery and pickup, accounted for 10.9 percent of total revenue in 2018, a 2.3 percent increase from the year prior. The chain’s technology-enabled second make lines are currently in 950 locations, and will be in most restaurants by the end of 2019. Chipotle is aiming for all restaurants to be outfitted with mobile pickup shelves by the middle of 2019. The company is also testing new in-store capabilities to better facilitate online orders for pickup and delivery. In 10 test locations, Chipotle equipped its restaurants with ‘Chipotlanes,’ or digital drive thrus that provide an easy point of pickup for online delivery and carry-out orders. The company started testing the digital drive thrus in the first half of 2018, as CNBC previously reported. 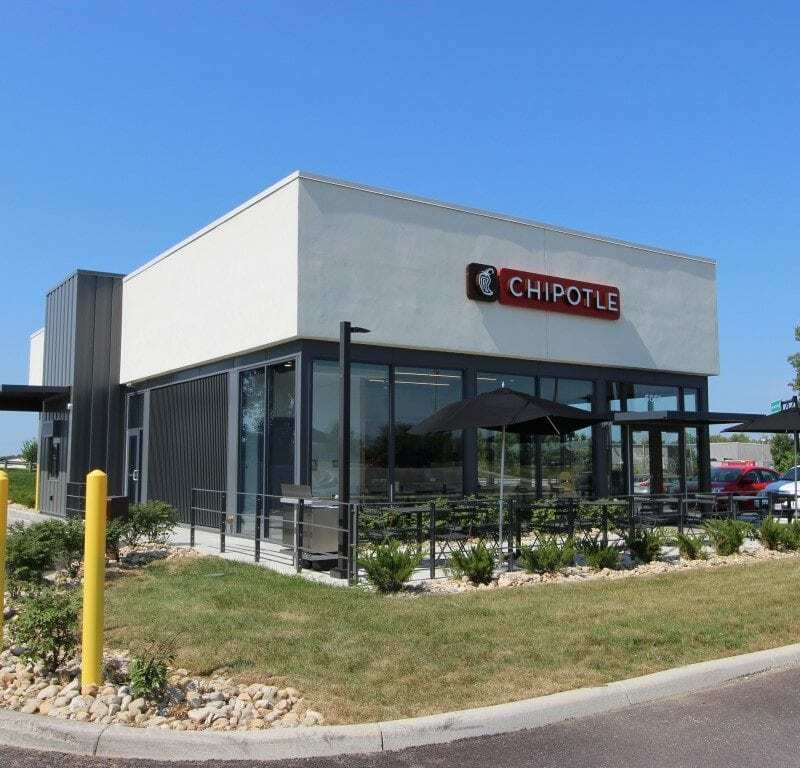 Zalotrawala said that Chipotle will be testing ‘Chipotlane’ additions in a few dozen more locations this year, and her team is actively sourcing new restaurant locations that will be able to support the buildout. The company plans to spend about $860,000 on each new restaurant opening in 2019, an increase from previous years. On the company’s fourth quarter earnings call, Niccol credited most of the additional costs to building out units that support the new digital drive thru capabilities. In 2019, Chipotle plans to allocate $300 million to capital expenditures, including $120 million to $135 million spent on new restaurants and $90 million spent on outfitting existing restaurants with new digital investments, including the tech-enabled second make lines and mobile pickup shelves.